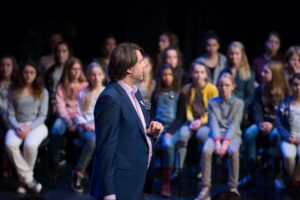 The course Muziek als Vak will be offered in the academic year of 2019-2020 on eight Saturdays and two study weekends, in the Royal Conservatoire. Techniques: get to know about some of the main philosophies in music education with a special emphasis on the Kodály approach. Repertoire: discover a wide range of songs, games and activities, which are appropriate for your class. Musicianship: improve your own musical skills in a way that will help you to be a better teacher. Singing: learn how to use your voice well, how to sing in a choir and how to sing with children. Application before 1 June 2019! To apply to the Muziek als Vak course, leave your information here!